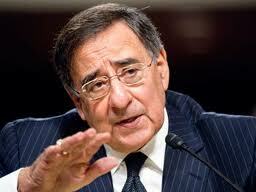 American Defence Secretary Leon Panetta, has made a public statement, stating US will not surrender its role as a global power. Since 2008 recession, countries such as China, Russia, Libya, Iran have been calling for a change in International monitory system which is in the control of US. The reason for the call in change, according to the world leaders, is due to the fact that America is doomed and can no longer fulfill its commitments to the world as a global leader. Not to mention, the high rumor on the very invade of Libya by US is to stop the-then Libyan leader Gaddafi who was about to change the system of selling Oil on the basis of Dollar currency. Economic times reports the Defence Secretary Leon Panetta as saying, “As we examine our geographic priorities, it’s important to remember that we can and we will do more than one thing at a time. US security commitments are not zero-sum. “And even as we enhance our presence in the Pacific, we will not surrender our status as a global power and a global leader,” Panetta said in his remarks at the Halifax International Security Forum in Canada. “As a country with global interests and responsibilities and with a military with unique global strength and reach, America will remain committed to global security,” Panetta said. I wonder what made the defense secretary defend the US global status all of a sudden. Are they worried that they might lose the crown? Do they already know that they are out of the race?